Dogs are like wolves and should be fed raw meat and bones, says the author and founder of Honey's Real Dog Food company. He chooses the best books on dog food. 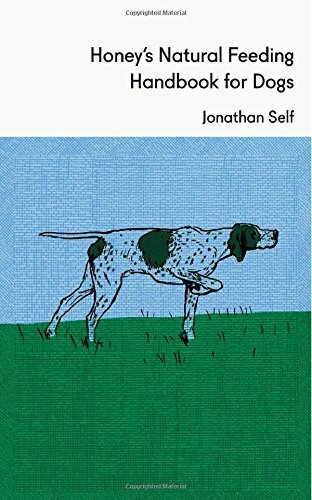 Jonathan Self is a writer and founder of Honey's Real Dog Food. 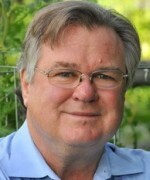 He is a contributor to Country Life and his books include Honey's Natural Feeding Handbook for Dogs and a memoir, Self Abuse. Is dog food an important topic? I would say it is, but for an unusual, rather convoluted, reason. I’m vegetarian. It’s slightly unusual for a man who is against the killing of animals for food to be in a business that involves killing animals for food. My personal ethics of it — and it comes down to why I think dog food is important — is that dogs and cats, and indeed all pets, are vitally important to society. Without them, most people would have almost no contact with any species other than humans. And since I think human society, although it has its good parts, is a bit like a virus or cancer on the world, anything that checks human greed and desire to destroy things is good news. Having pets around is rather good from that point of view. If you’re going to keep pets — in particular dogs and cats which are the most popular form of pets — it’s important that you look after them properly. In the case of dogs and cats, their biologically appropriate food is raw meat. Is dog food important? Yes. If we’re going to keep — and in the UK it’s 8 million — dogs as a society, it’s important we look after them properly. And I think dogs are important too, even though they use up enormous amounts of the world’s resources. So in terms of what is biologically appropriate you say it’s raw meat. How did you come to that conclusion? My vet was telling me for years that I shouldn’t be feeding my dogs Kibble, but raw food. I thought he was a jolly good vet but I ignored him. I didn’t make the switch. I was away and the person looking after the dogs, who had been listening to the vet and getting annoyed with my lack of action, switched all the dogs to raw food. I came back and found them all eating chicken carcasses, bones and mince [ground meat], very happily. I’d given up farming at that point, because I couldn’t bear killing anything, and I was wondering how I could get somebody else to produce the dog food for me using ethically sourced meat. 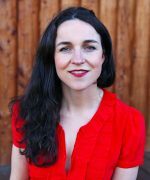 I couldn’t find anybody online and the local butcher wasn’t interested, so I persuaded a friend, Vicky Marshall, to start the business, which became Honey’s Real Dog Food. So I discovered almost by accident that raw meat was the right thing. Then I became obsessed with it and I went and saw a vet in America. We dissected both a wolf and a dog so I could see what their insides were like. Dogs are basically wolves. Whatever dog you have, its inside, and much of its motivation and behavior, is linked to that of a wolf. They’re kissing cousins — they can interbreed. And that means that raw food is better? They’re the same species, so they should be eating the same diet. Wolves are carnivores, they hunt prey and they live on prey. They’re very different from humans, who are much more like cows and other herbivores. Our digestive process starts in our mouth, so about a third of it has taken place before we even swallow. We masticate. We chew our food to break it down, adding the digestive enzymes and the saliva. Dogs can’t chew. They can’t move their jaw from side to side. All their digestive enzymes are in the stomach, not in the mouth or the saliva. Dogs’ bodies are designed to hunt and kill prey. Human bodies aren’t. We can just about manage beetles, but there’s very little that humans are designed to kill without a tool. There are different theories, but some people believe that once pre-humans discovered that they could kill things and eat meat, all the extra protein is what caused human intelligence to increase, and the brain to become so much more complicated. But basically, if I, like many people around me, just feed my dog Pedigree Chum, it’s got wheat in it and it’s all in little bits, I’m treating the dog as if it’s a quasi-human being, rather than respecting the fact it’s more like a wolf? It’s exactly like a wolf. You’re making the mistake of thinking that its food needs to be cooked. Actually, in the wild, wolves and wild dogs don’t cook. You think it needs to be eating grain, but again, in the wild, you rarely see a dog hunting a wheat field. Going back to your vet. Why did he keep recommending this raw food? Were your dogs not looking their best? My dogs were in great shape, but every species needs to be eating a biologically appropriate diet. Pandas will die if they don’t get their bamboo, cows need to be eating grass, boa constrictors…whatever it is, we all need to eat a biologically appropriate diet. And some vets — but it’s a minority — have been aware of this for the last few decades. It all goes back to history of dog food. The first dog food producer was a man called James Spratt. He worked out he could use the waste materials from our food and create a dog biscuit out of it and really the formula hasn’t changed much. All contemporary dog food uses waste food from humans, so it’s meat that’s gone off and sub-standard grain. James Spratt used to get vets to say how good his food was, even though it wasn’t and they knew nothing. Vets are mostly trained in canine nutrition by the dog food companies. We’re now in a cycle where vets are being taught that modern processed dog food is good for the dogs and that it’s balanced. They also make money selling it, often, from their veterinary surgeries. There’s no reason for them to question it. But a few more alternative vets in the 70s and 80s started saying “Wait, hang on, this stuff isn’t very good.” There are some vets — Tom Lonsdale is one of them — who argue that processed food is causing the majority of visits to the vet. So you’ve got the food causing the problems, and the vets solving it — with all these specialist foods for different health conditions and with drugs. If you think of human health, if we eat well and healthily and exercise, we’re much healthier. Humans that don’t eat well go to the doctor more often. It’s the same with dogs. Let’s go through the books you’ve chosen. 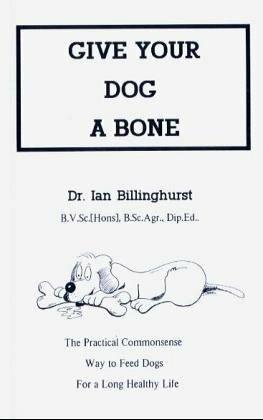 Given what you’ve just said about vets, shall we start with the book by Ian Billinghurst, Give Your Dog a Bone? Ian is a vet in Australia. 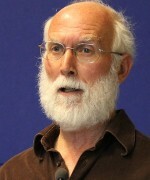 He wrote his first book in the early 1990s. He’s the one who woke everyone up and created the term BARF — biologically appropriate raw food — which is a horrible acronym but it’s really taken off. You’ll hear a lot of people refer to the BARF diet. 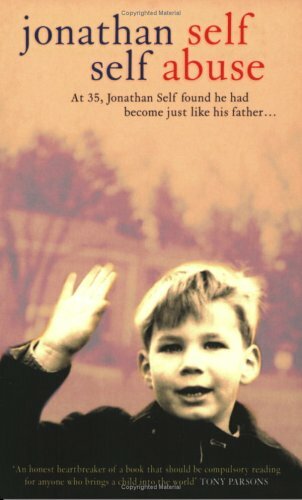 The problem with his books is that they’re very repetitive and they make it seem very complicated, but I chose him because he really was the first vet to bring it to the public’s attention. He was roundly criticized for it, and really suffered for it, I have to say. He came and tried to talk to the Royal Veterinary Society and he was laughed at. Now, like lots of people who were before their time, he’s rather more welcomed. But back in the 1990s nobody wanted to hear it. So even if the book isn’t hugely well written it contains important info? It does, yes. It’s a good starting off point. And the message is that processed food is bad and dogs should be eating their ancestral diet. Yes, it’s no different to the story with human food, like Super Size Me. When we eat processed food like Burger King or McDonalds we’re much less healthy. You live less long and you’re sick a lot. That’s really what he’s saying. On the issue of being overweight, shall we talk about your second book, The Lucky Dog Weight Loss Plan? 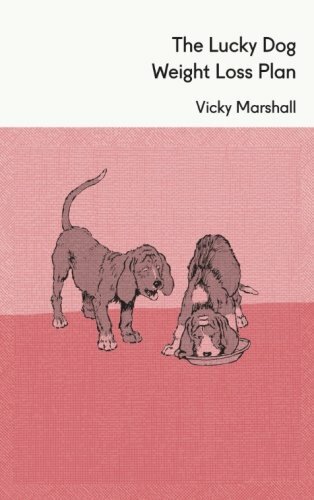 You mentioned in your email that this book is by your business partner, Vicky Marshall. Around half the dogs in the United Kingdom are overweight or obese. I chose this book because what Vicky does is she analyzes and looks at the research which shows in detail what wolves and dogs eat in the wild. She then compares it to processed food and discovers that processed food contains much higher quantities of unhealthy fat and much higher amounts of carbohydrate. We feed a lot of dogs and she discovered that it wasn’t really about changing the volume of food you give a dog, or starving it. By changing from bad fats to good fats and by increasing the percentage of protein, the dog automatically loses weight. If you change the balance of the food and switch the dog to a biologically appropriate diet, the weight just falls off. 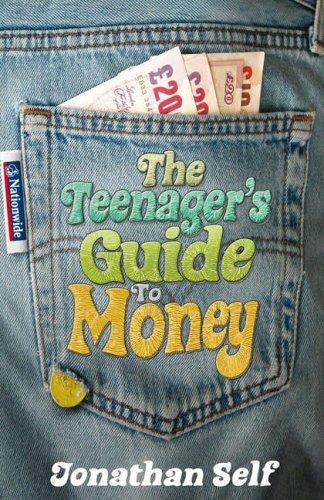 She worked on that for 4-5 years, and wrote this excellent but really short book. Was this before you teamed up with Vicky or after? Were they noticeably fat, these dogs? Oh, yes, obese often. We deal with a lot of overweight dogs because we have a reputation for it now. We run a program. Sometimes there are additional problems — the dog isn’t getting enough exercise or they’re being given titbits all the time — but in the majority of cases, it’s just that they’re on a Kibble or tinned food diet and the dogs are getting overweight. It’s like us eating lots of food with the wrong fat and too much carbohydrate. I thought your business, Honey’s, was just about delivering raw dog food for people to feed their dogs. Do you also have resident dogs? We don’t have any resident dogs, but we do have a poorly dogs team and an overweight dogs team. We employ vets and veterinary nurses. You don’t have to be a customer, we’re happy to help anybody who comes to us for nutritional and health advice. That’s really been Vicky’s baby more than mine. She has someone who used to be in the pharmaceutical industry who has been with us for six years now, who heads that team up. And under her there are two vets and three veterinary nurses and that’s all they do: They provide advice. I didn’t realize you had a dog. Have you got a dog? Why aren’t we feeding your dog? Actually I wanted to talk to you about that. Our dog is a bit schizophrenic. She was in England for 3 years while I was living in China, and she was fed dry dog food with a bit of water twice a day. And apparently she happily ate that, according to the lovely woman who was looking after her. But when the dog came back to me earlier this year, she absolutely would not eat dry dog food. She drinks my coffee, she eats the kids’ pasta with pesto. The other day she even ate my guacamole dip. So I was wondering, what is it with this dog? Does she think she’s a human being? Have you tried her on some mince or some chicken wings? Before I go down that route I wanted to ask you: If one embarks on the raw dog food track, how much does it cost? She’s quite big. She’s half German shepherd, half Lab. I would say about 33 pounds. Do you buy meat anyway? Do you go to butchers? Not huge amounts, but some. I just buy it at the supermarket, I’m afraid. I would say it’s going to cost you more than a bag of Kibble, but if you did it yourself, using ingredients we can advise you on, it’s going to cost around 40 or 50 GBP per month. I don’t use my own company’s food, because I live in Ireland and I don’t like to ship the food over. It seems un-environmental to send food from England. I just have the local butcher give me scraps and bits and pieces. I’ve got an English Pointer who is probably about the same weight, and I reckon it costs me about 30-35 GBP a month. 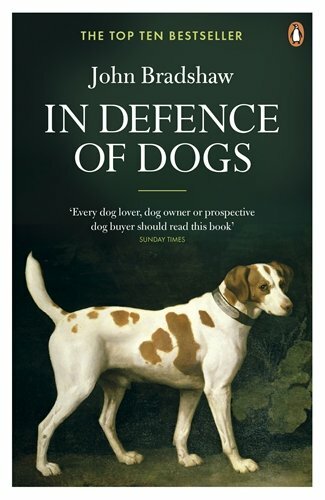 Let’s go on to book number 3, In Defence of Dogs, by John Bradshaw. This book isn’t really about nutrition, it’s about the evolution of dogs and their relationship with humans. He begins by telling a lovely story about how when he was growing up, his grandfather had a dog who used to have a routine. Every day it used to walk into town and see people. They used to stop the traffic so the dog could cross the road, and later it would come home. And it’s true, when I was growing up, our dog was off the lead all the time. It used to have its own routine and used to go and visit people. There was much greater freedom for dogs. That’s his starting point: He suddenly realized that nowadays dogs always have to be on the lead and there are all these rather strict rules about them. This got him interested in the relationship between dogs and humans. It’s a fantastic book and really explores all sorts of things, like how dogs became domesticated and what happens within wolf packs, which is what everybody looks at because dogs and wolves are so closely connected. In particular, in training, you’ll hear a lot of people say, “Oh the dog views the family as a pack and you need to be the alpha male, you need to dominate your dog. You mustn’t let it get on the furniture, you mustn’t let it go ahead of you through the door.” In fact all that research was based on wolves that were being observed in zoos and wildlife parks. And of course those packs were not actually the same sort of pack that would exist in the wild. They were a made-up pack. It’s a bit like taking a human being from a slum in the East End and putting him with someone from Knightsbridge and giving them two children from somewhere else. They wouldn’t act like a real human family. Once they started researching what wolves did in the wild, they discovered that the whole alpha male and alpha female thing is a complete misnomer. You’ve got a Mum and Dad and the next generation down are the previous year’s cubs who stay with the pack to help bring up the third generation. It’s a pass-through system. Then the new cubs stay on, and the teenagers go off and form their own packs and the wolves, far from fighting each other, are all very cooperative, because it’s all about survival. There is a very little fighting between wolves. It’s a really, really interesting book. 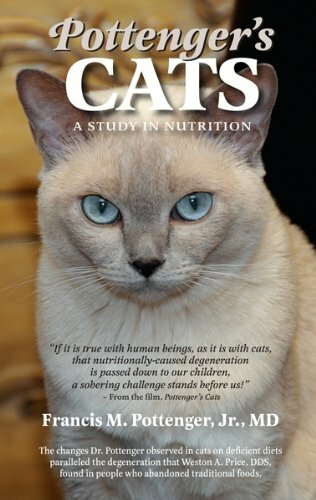 Tell me about book number 4, Pottenger’s Cats: A Study in Nutrition. This is a 10-year study of 900 cats? Ah yes, Francis Pottenger. I can’t remember what he was doing research into, but it was something completely different. He had two sets of cats, and I believe he had 450, in the end, in each group. There were two people feeding them. One can only imagine where he was keeping them. Anyway. He had these two groups of cats and one of the people feeding them was giving them raw meat and bone, and the other was cooking it. Francis Pottenger noticed that the ones that were on the cooked food were less healthy than the ones on the raw food. So that’s what the study looked into. For 10 years, he studied these 900 cats and found that the ones on the raw food absolutely blossomed: they lived longer and they were healthy. The ones on the cooked food did much less well. Part of the reason is that the cooking kills the taurine, which cats need. Nobody knows how much taurine cats need. There’s all this stuff online about how much taurine there is in a live mouse, or in this and that. There is no real recommended daily amount of taurine, but we know cats need it. There were also other enzymes and bacteria that were being killed when the food was being cooked. The book goes back to the 1930s but it was the first serious piece of evidence that processed dog and cat food, and cooked food, was not a good idea for the animals. It’s a wonderful little book and brilliant, in its way. They were being fed two-thirds raw meat and one-third raw milk. Do dogs need raw milk as well, do you think? I don’t think cats actually need very much raw milk. It’s probably more important to give them oils with omegas in them, but it was early days in the 1930s when Pottenger was doing his study. What we try to do at Honey’s is replicate a wild diet, using domestic ingredients. So we know people don’t want carcasses lying around on the kitchen floor, so we analyze, if a dog was eating a rabbit, what percentage of the rabbit is going to be offal and guts? We then try and replicate that in the food we make up. In nature, probably about 10-15% of what dogs eat is vegetable matter. We increase that a bit. This is partly because once a vegetable has been picked, it begins to lose its nutritional value. So you need slightly more of it to get to the total. But it’s also because the amount of food that your dog needs to eat is much smaller in volume than you realize. People were complaining that we were starving the dogs. Nutritionally the food was already balanced but we added extra vegetable because it makes people feel the dog is getting a decent meal, believe it or not. A little bit of milk, a little bit of egg, a little bit of cheese is probably also good, but only a tiny amount. Do dogs eat the whole bone? Yes, they can digest the whole bone. They crunch it up and they swallow it. The acidity in the stomach rises when the bone is there and they have no trouble digesting it. They have a very short digestive tract compared to humans and very, very strong digestive juices, almost as strong as hydrochloric acid. So they have no trouble dealing with bone or with harmful bacteria. And the bone is good for them? It’s vitally important. They get about a third of the nutrition from the bone itself and from the marrow, and the chewing of the bone cleans their teeth and exercises their upper body. And it keeps them amused. So the bone is fantastic all around. We give bones to a lot of rescue centers. Our food is expensive because we’re using human grade meat — we’re using organic and free range and wild meat. We do feed some dogs for free in rescue centers, but only about 15-20 of them because of the cost. We aim to make about 5 GBP per customer per month, so we’re working on a very small margin: our ingredient costs are often well over half the total price of the food. But we do have a lot of bones left over, so we give the bones to rescue centers. The rescue centers say that the dogs with the bones are happy because it gives them something to do. Otherwise, they’re just pacing around and bored out of their mind. You touched on the bacteria issue. We humans (almost) always have to cook meat. I don’t know how that happened. Is that because we learned cooking so long ago that we’ve adapted to it? I don’t think so. I think it’s because we never used to eat meat. We’re cooking partly for the flavour and partly because we’re trying to kill off bad things. Our stomachs aren’t actually designed to deal with raw meat. Meanwhile raw chicken, even chicken bones when they’re raw, is good for dogs. All bones are good for dogs. The thing is, an older animal will have harder bones, so there is a risk of a dog chipping its tooth. And some dogs are very greedy so they try to gulp the bone down really quickly, and that can cause a problem. But, basically, dogs can digest bones. Chicken bones are particularly soft, which is why we always suggest starting with a chicken bone, because the dog needs to adjust to the idea of its new diet. But compared to humans they don’t have a problem with bacteria, as we do when eating meat? Do they ever get an upset stomach, from things like salmonella poisoning? They can do, but not from our food. It would be more that they might pick up something in the park. There’s no risk from raw chicken. There are a few things, but they’re very rare. For example, if you were feeding a dog a wild pig, there is something that could be caught by the dog, but it’s now history. It’s not something that could happen in the UK today. A third of dogs have salmonella in their system anyway, and you can get salmonella off dried dog food. There’s more bacteria on a shopping trolley handle than there is on a raw chicken, just to put it into perspective. The Japanese sometimes eat raw chicken. But it has to be very, very good quality. Yes, they do. I offered to go on television — when there was a television program about raw feeding — and eat our food, even though I’m a vegetarian, if they could get anybody from any of the big dog food companies to eat their food raw. They couldn’t get a single person from any of the processed dog food companies to come on and eat their food. So my challenge went unanswered. 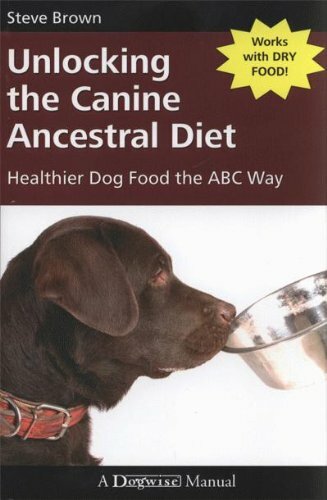 So your last book, book number 5, is Unlocking the Canine Ancestral Diet by Steve Brown. Steve Brown has a dog food company in America. He’s a great chap and he’s really the one who did a lot of the analysis into what wolves are eating in the wild — what percentage of protein and carbohydrate and fat and what sorts of proteins, carbohydrates and fats they are. He then compares it to manufactured processed food and points out what the differences are. He did the research, a bit like Vicky did, because he was making the food and he wanted to know. It’s a short book, but it contains the original research which, if you’re interested in the subject, is always nice to know: To go back to the source, as it were. 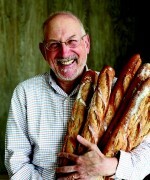 And he explains how best to replicate this diet using ‘domestic’ ingredients, is that right? So it’s also a bit practical, if you want to feed your dog that way. Yes. He’s got recipes in there as well and eating plans. But not recipes for cooking. Exactly, all raw. Initially people were a bit thrown by the idea, because it was new. But, if you think about it, dogs in the wild aren’t planning five servings of vegetables per day. They are killing prey and eating it or scavenging, and they get the balance over time. If you take that attitude to feeding your dog, thinking about what’s likely to happen to it in the wild, you realize it might not eat for two days. In fact, dogs can go up to a week in the wild without eating. So, actually, if you’re just giving your dog raw meat and bone, in roughly the right proportion, you can’t really go wrong. And then you think, well, from time to time a wild dog might find an egg, so I’ll throw in an egg. Or from time to time they might find some fish, so you could give them a tin of pilchards. A lot of people with the recipe books make it seem awfully complicated but it’s much easier than it looks. It’s as much art as science.